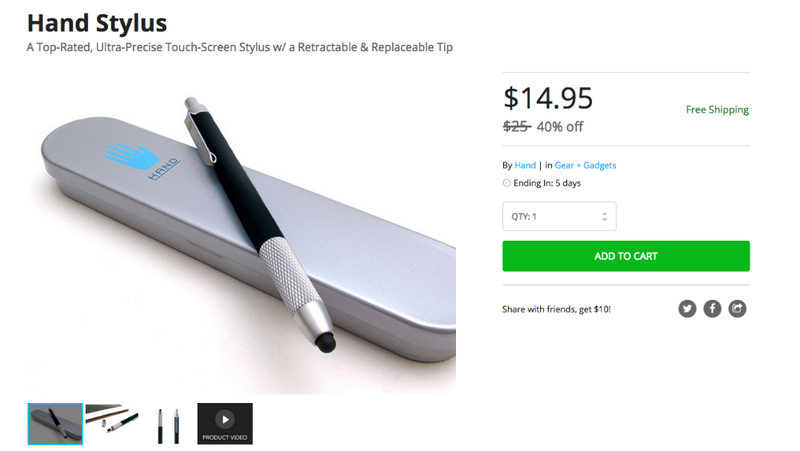 The latest deal on the DL Deals Store is for an “ultra-precise” Hand Stylus, lowered from $25, down 40% to $14.95. With this stylus, writing notes, playing certain games, and drawing on your Android device should be made much more simple with its retractable and easily replaceable rubber tip. Stylus devices are great for tablet owners, as they allow you to keep your display nice and pretty (no more fingerprints), while also let you write more accurately when working on documents. For these reasons alone, many business folk may get quite a bit of use out of it. Below, the features have been listed, followed by a link to where you can buy it.